Born LaKisha Renee Grandy and raised in Dallas, Texas. 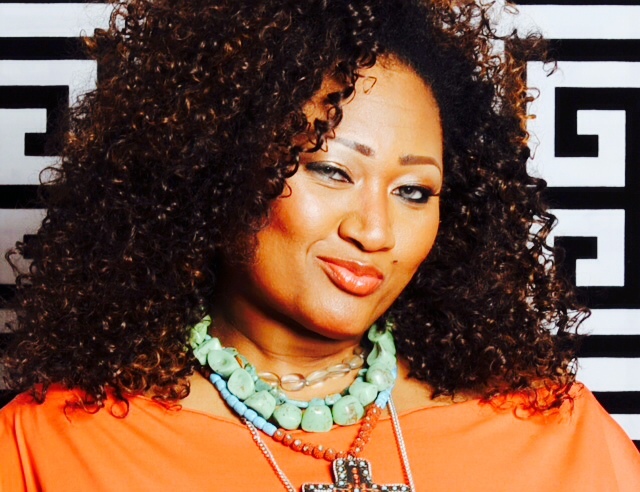 LaKisha is 39 years of age, and began singing at the age of four. Her first solo was “Ole My Darlin”. Raised and adopted by her aunt, Ms. Grandy attended the Arts Magnet High school where she studied classical music for four years. Ms. Grandy went on to further her education and received her Bachelor’s Degree in communication. Ms. Grandy was inspired musically by the style of opera greats, Jessie Norman and Kathleen Battle. Ms. Grandy was encouraged by her high school vocal coach to pursue a career as a classical singer. To that end, Ms. Grandy began performing several musical productions including jazz. During that time, she realized that she had a love of jazz music as well. Influenced by jazz greats Sarah Vaughn and Nancy Wilson, Ms. Grandy incorporated their styles into her own. Almost twelve years later you’ve heard her deep rich alto voice featured on songs such as “Silver & Gold” on the Kirk Franklin and the family’s “Why We Sing” video, “The Night That Christ Was Born” on’ Kirk Franklin & The Family’s Christmas Album’, “Savior More Than Life To Me” on the ‘Watcha Lookin 4 Album and “He Loves Me”, “Lovely Day”, and “Hold Me Now” on the NuNation Project’. Ms. Grandy’s vocals have also been featured on several different recordings such as Don’t Be a Menace Soundtrack, Coca-Cola commercials, Chrysler commercials, Church’s Chicken commercials and others as well. Ms. Grandy have also recorded with artists such as Mary J Blige, R. Kelly, Bono, Celine Dion, Whitney Houston, LL.Cool J, Tamela Mann, Donald Lawrence, and many others. Ms. Grandy’s vocals have also been featured on Reverend Jackie McCullough’s and the Gospel Gangsta’s first albums released on Gospo Centric Records. Ms. Grandy has had the opportunity to minister in song to people across the world. Ms. Grandy has also performed on a number of television shows and award shows. Ms. Grandy has also been in several stage plays, most notably she played the lead character in Tyler Perry’s “I Can Do Bad All By My Self”. She’s also been in David E. Talbert’s “He Say She Say But What Does God Say” and Tracey Mitchell’s “The Night I Fell In Love”. Ms. Grandy recently was in a movie entitled Sideline Confessions released in 2014. Ms. Grandy is currently working on a solo project which not only displays her unique vocal style and love of music, but ministers primarily to young women about various issues facing them. This project will have a 2014 release date. Want to leave a message for Kisha Grandy-Alexis? We'll post your comments right here! -Kisha is one of my all time favorite singers! It's an amazing privilege to be a part of this new phase in her career and ministry. She is a great soul and extremely gifted singer and actress. In fact, she's an awesome entertainer all around. We pray blessings over her and her newest ventures! !